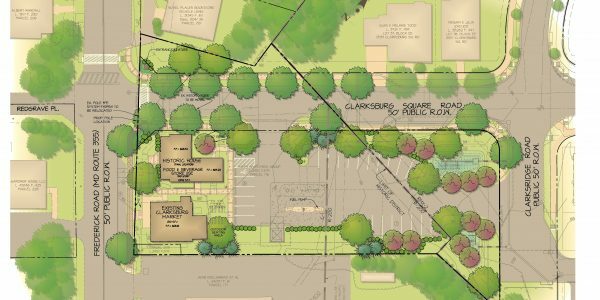 Clarksburg Square Road Extension is a mandatory referral project requiring Montgomery County Department of Transportation to construct an extension to Clarksburg Square Road to complete the connection between Clarksburg Town Center and the historic district of Clarksburg. 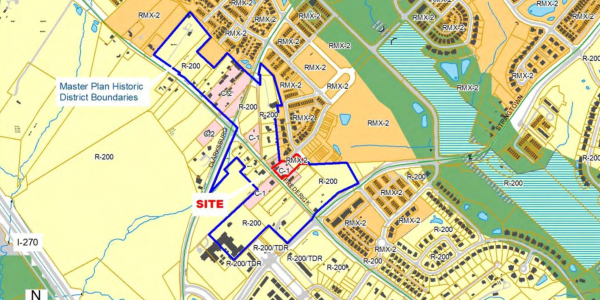 The 0.83 acre property has a convenience store, storage building, and parking area and is zoned C-1 (Commercial), and R-200 (Residential). 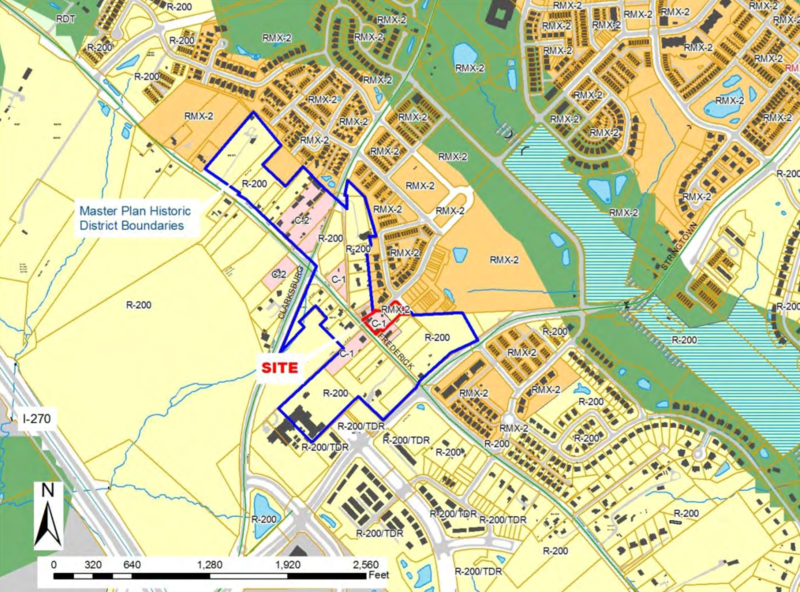 An adjacent vacant parcel, 0.21 acres in size, zoned RMX-2 (Residential Mixed Use), owned by the developer of Clarksburg Town Center will be added to the existing property to provide the additional land area needed for the parking area, gas pumps and tanks, landscaping and stormwater management associated with the relocated historic house and existing convenience store. To allow construction of the road connection, a historic structure, the Horace Wilson House, had to be moved to a temporary location on-site and then moved again to a permanent location on the same property after the road connection was complete. 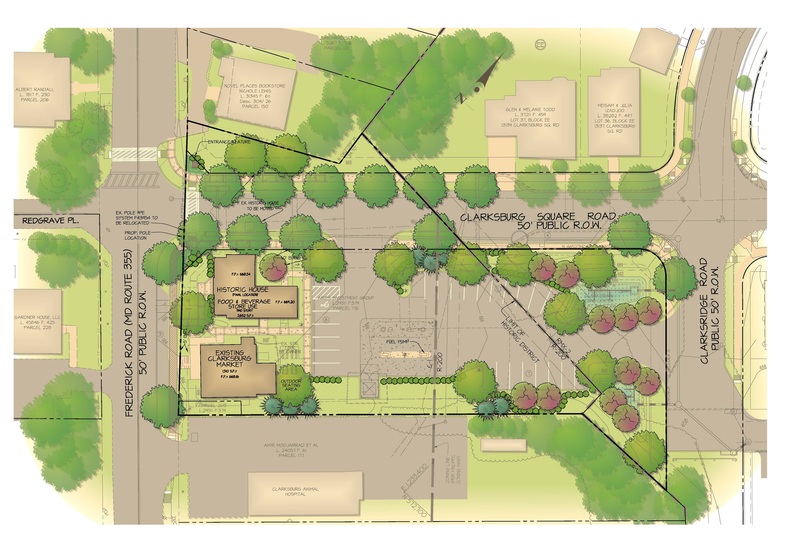 GLW performed planning, landscape architecture and engineering services that addressed the three zoning category requirements and approvals from the Historic Preservation Commission. 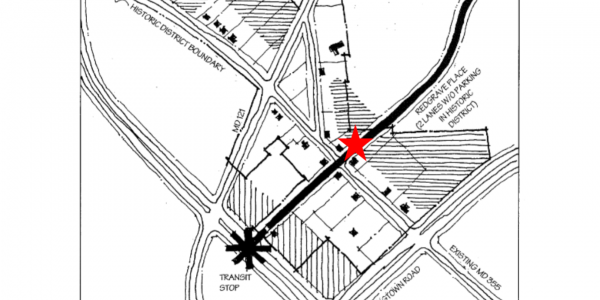 Engineering design to extend Clarksburg Square Road also provided sewer service to several homes and businesses across Frederick Road. 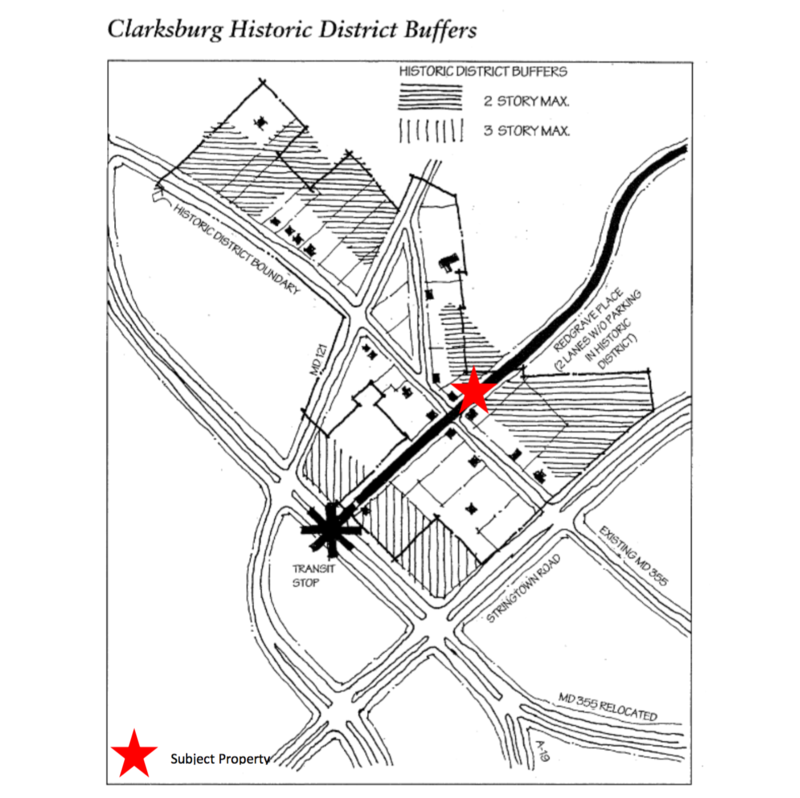 The end result showed the convenience store and historic house fronting the main street – Frederick Road (MD Rte 355) with gas pumps, parking and stormwater management located behind the buildings out of sight from the Clarksburg Historic District.